July 6th is the start of NAIDOC Week, a time to celebrate Indigenous arts and culture. This year’s theme is Serving Country: Centenary & Beyond. Events include art exhibitions, award ceremonies, family fun days and more! The full event schedule is available on the NAIDOC website. QUT will hold a special celebration of Aboriginal and Torres Strait Islander culture in week 3 of second semester. Murri – Ailan Way will run from August 5-7 with a variety of events across all three campuses. QUT Library will be holding a BlackWords promotion on the 6th of August featuring author talks. Watch this space for more information. NAIDOC Week developed from the movement to promote awareness of the treatment of Indigenous Australians. In the 1940s, a day of mourning was held on the Sunday before Australia Day. This was known as Aborigines Day. It was moved to July in 1955, and was extended to include a celebration of Indigenous arts and culture. The National Aborigines Day Observance Committee was formed and when Torres Strait Islander culture was included in 1991, the committee became the National Aborigines and Islanders Day Observance Committee (NAIDOC). The new name has become the title for a whole week of celebration. 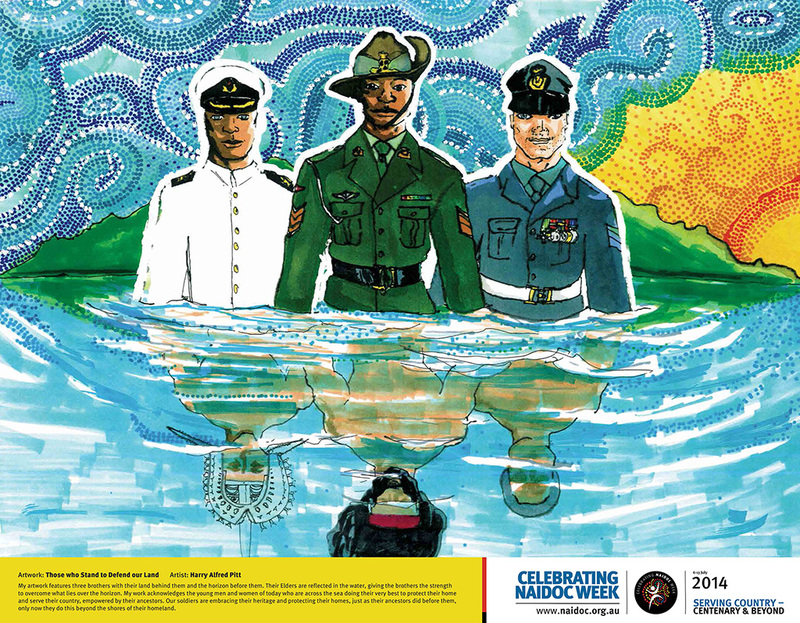 A nationwide poster competition, held since 1972, is a highlight of NAIDOC Week. Harry Alfred Pitt is the winning designer for 2014 with his beautiful image celebrating this year’s theme. 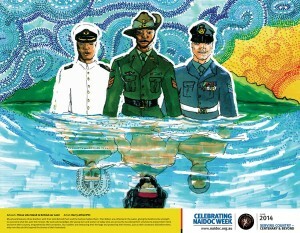 All the posters can be viewed on the NAIDOC poster gallery.